Leftist MKs condemn Education Ministry's ban of novel depicting Arab-Jewish love. Minister Bennett: I back the professional echelon. Leftist Knesset members were outraged on Wednesday evening following the Education Ministry's decision to disqualify a novel depicting a romance between an Israeli woman and a Palestinian man from being taught in Israeli high schools. Dorit Rabinyan's "Gader Haya" (known in English as "Borderlife") was rejected because of the need to maintain "the identity and heritage of students in every sector" and the belief that "intimate relations between Jews and non-Jews threatens the separate identity." Concern that "young people of adolescent age don't have the systemic view that includes considerations involving maintaining the identity of people and the significance of assimilation" was also cited as a reason for the novel's disqualification, according to Haaretz. MK Merav Michaeli (Zionist Union) referred to Prime Minister Binyamin Netanyahu’s controversial statement on election day in her condemnation of the decision and said, "The Arabs are flocking to the polls, the Arabs are taking our daughters - these are two sides of the same coin. In a place where people are rejected, it is clear that books that present them as human beings will be disqualified as well." "The Thought Police is already here, in Israel today. 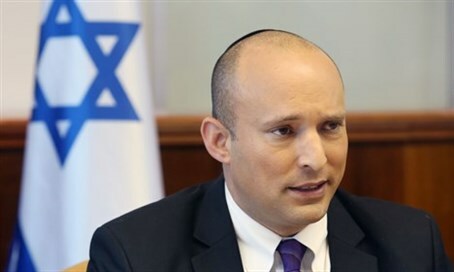 Under Minister Bennett, the Education Ministry has turned into the LEHAVA Ministry: to prevent education in the name of racism," Michaeli charged. Education Minister Naftali Bennett seemed unfazed by the criticism, however. His office said in a statement on Wednesday evening that "the Minister backs the decision of the professional echelon."